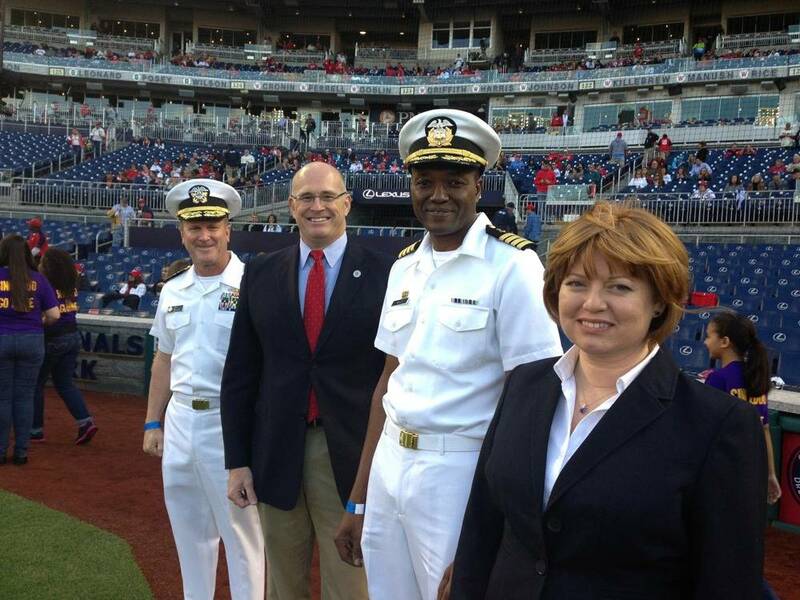 Capt Walley of the Ready Reserve Force (RRF) ship, was presented with the Spirit Award at the Nationals Park during a televised Major League Baseball game between the Washington Nationals and the Philadelphia Phillies on National Maritime Day, May 25. National Maritime Day is an annual observance that recognizes the U.S. maritime industry. Walley was selected to receive the award on behalf of the company and his crew, which provided support to the relief organizations working in the areas hardest hit by Hurricane Sandy. The storm devastated the U.S. Northeastern coast in late October 2012. Shortly after the storm, the S.S. Wright along with fellow MARAD vessel T.S. Kennedy, relocated to Staten Island, NY, in support of the Federal Emergency Management Agency (FEMA) to provide cost-effective accommodations and meals for more than 900 FEMA, Red Cross relief and other workers. Stationed in New York for more than a month, the 40 crewmembers aboard the S.S. Wright provided more than 4,000 overnight accommodations and 15,000 meals. Chip Jaenichen, deputy maritime administrator, MARAD; T.K. Shannon, commander rear admiral, Military Sealift Command; and Laura Hammond, third officer, U.S.N.S. Comfort, also received Spirit Awards alongside Walley during the event. In addition to the Spirit Award, MARAD honored the S.S. Wright and Kennedy crewmembers’ earlier this year with Merchant Marine Medals for Outstanding Achievement.